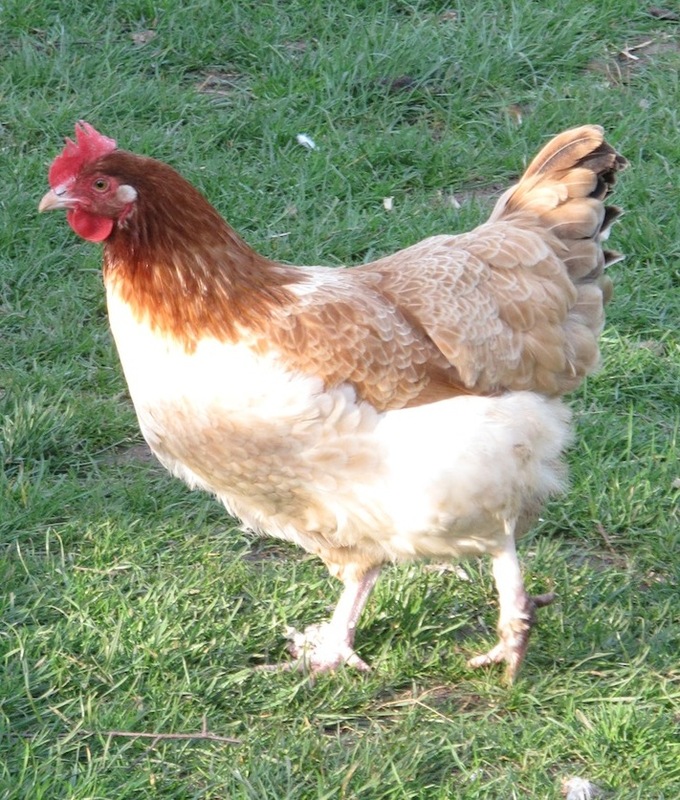 We have a large number of assorted chickens. 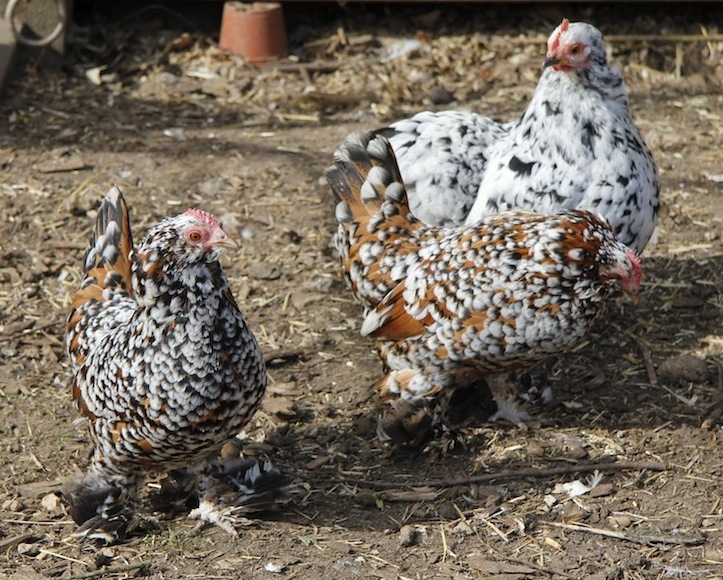 Some are pure breeds, some are bantams, some lay different coloured eggs and some are your average brown-egg laying hybrid. 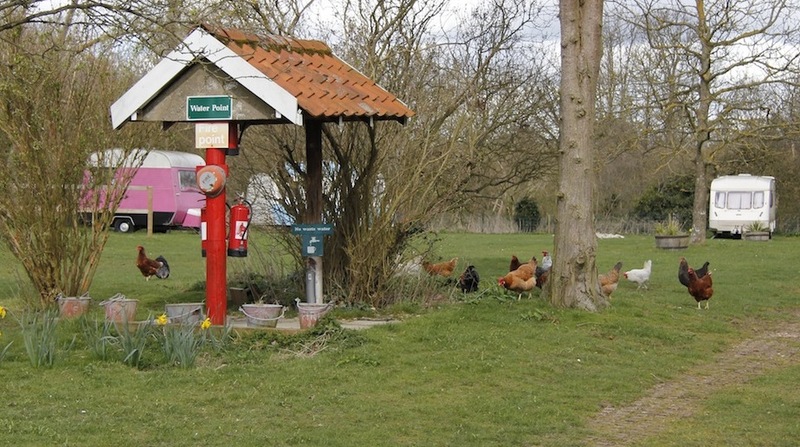 Many of the hens live in our fruit garden and freely range around the campsite, stealing toast from sleepy campers’ hands, strolling into tents and avoiding dogs! 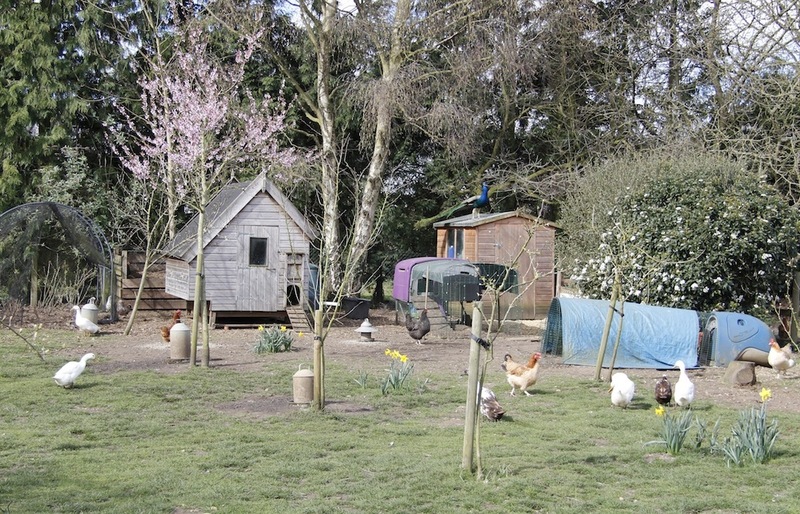 The others live on the small holding area and hang out with the pigs, turkeys and alpacas. 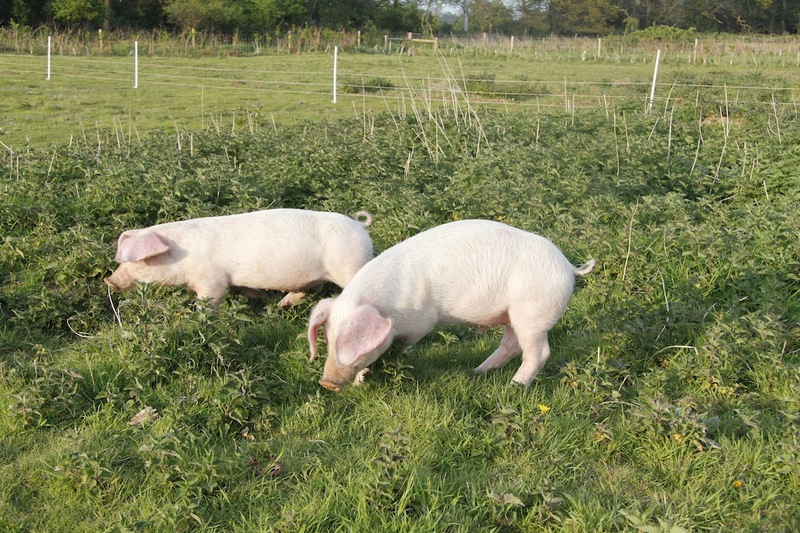 Currently we just raise weaners, but we hope to start breeding our own soon. 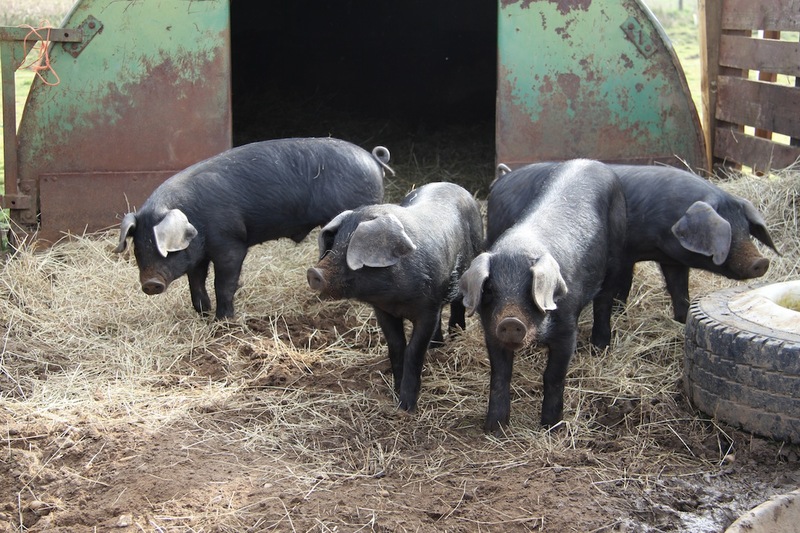 We currently have 4 Large Black piglets and two British Lops. 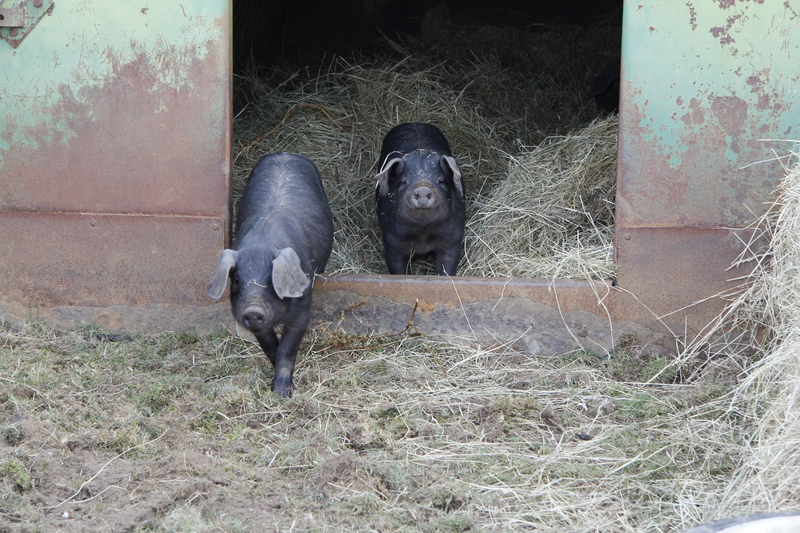 Some of the pigs are ours and some belong to pig club – a community pig group of 6 families who all own half a pig and share the chores of raising pigs. 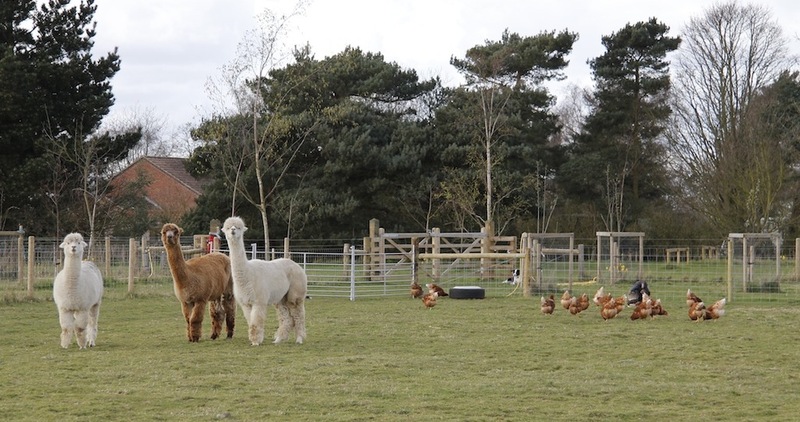 The alpacas are our llama pajama army and are there to not only look cute, but to protect the poultry from foxes. 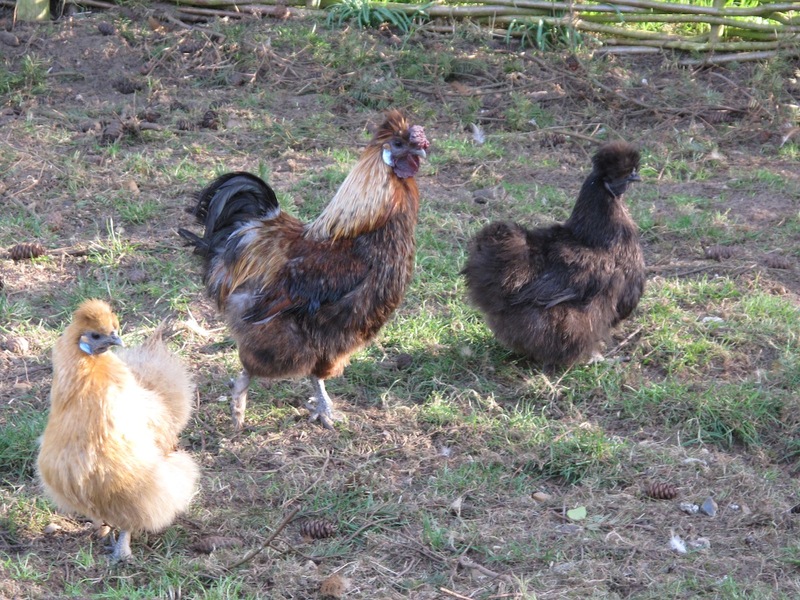 They are Peanut, Juniper and Inky Dinky Do – don’t ask! 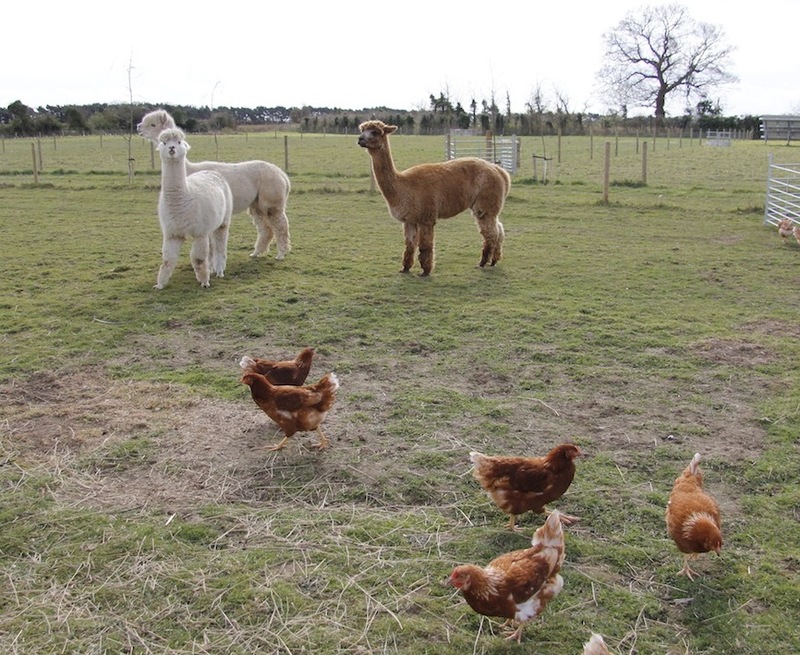 The llama pajama army guarding hens! 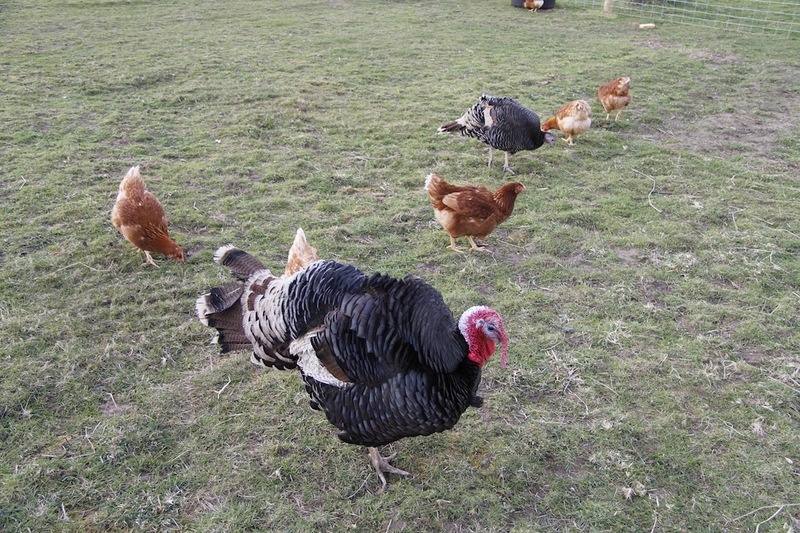 The turkeys are an experiment – we have one male and two females and are hoping to breed from them. If this doesn’t work out we will eat them. We ate the other male and he was delicious! 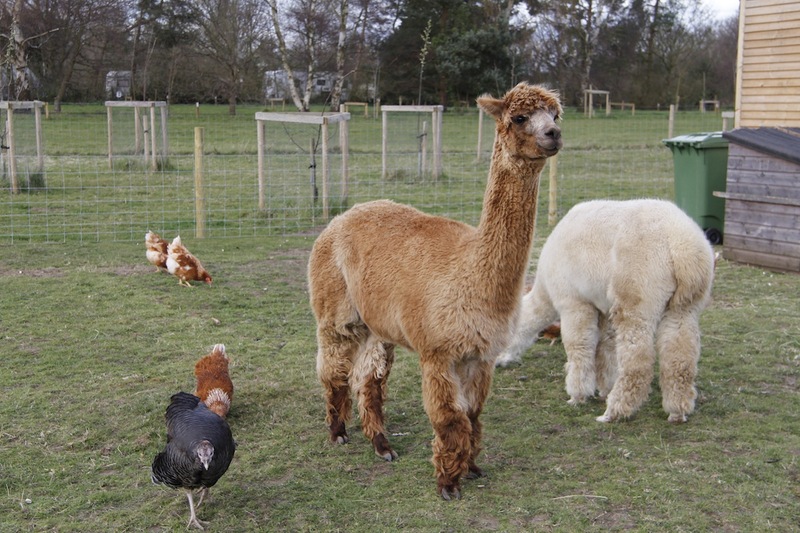 We also have sheep – 3 stubborn Suffolks who we have given a ‘forever home’ to and 5 Jacobs – 4 ewes and a wether. 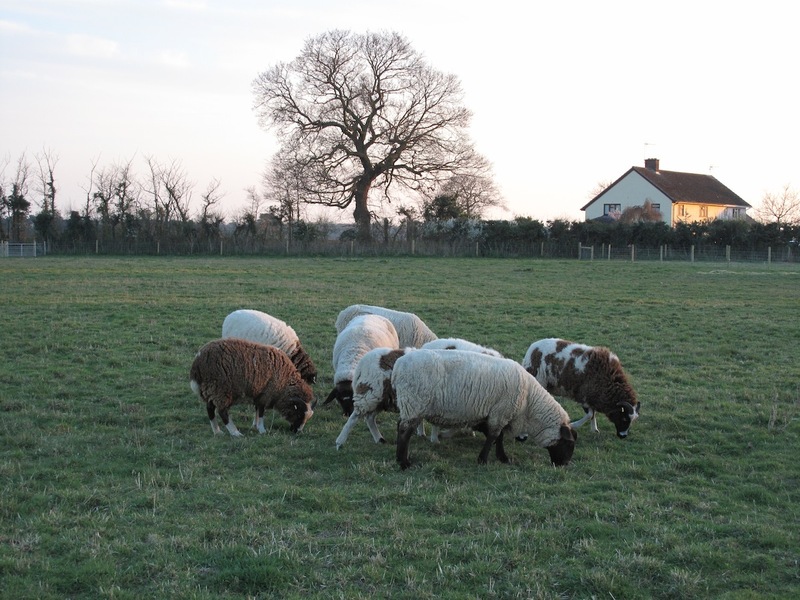 We are planning on breeding the ewes this autumn so there will be hopefully lambs here Easter 2015. 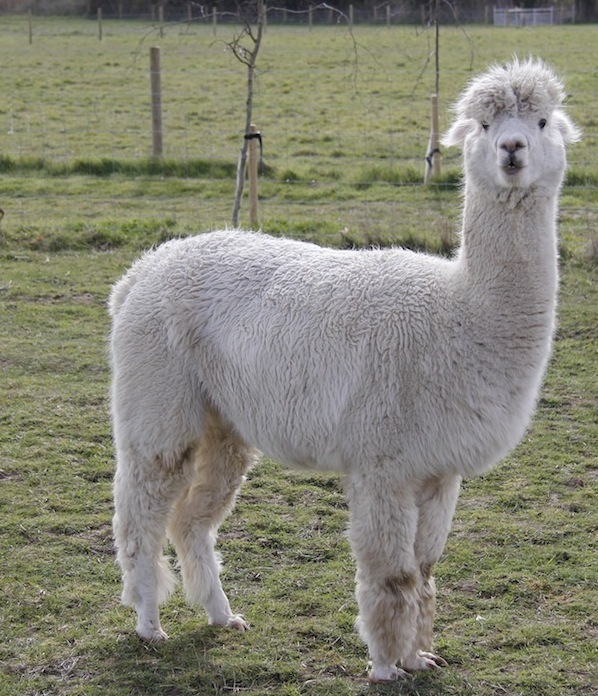 We plan on eating the wether in a month or so. 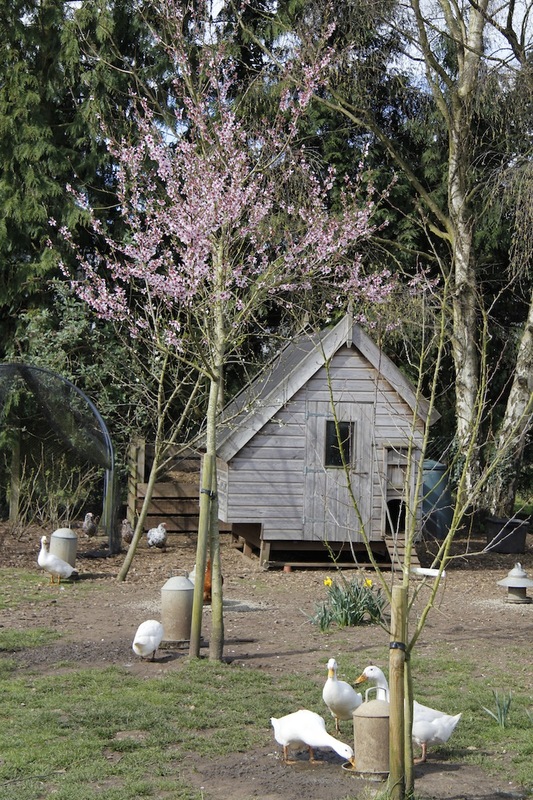 and our bees finally arrive at the end of April 2014. I love Jacobs sheep! Do yours have more than two horns?